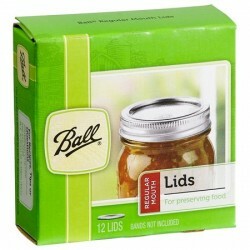 Tried other lids but much prefer these for ease of use and peace of mind. Water bath and these lids are the way to go for safe preserving of my jams and relishes. Great service and great product. Really happy with the products and prompt delivery. 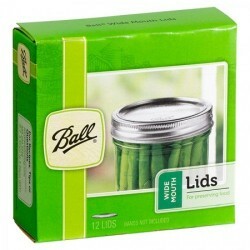 Ball Regular Mouth Bands for preserving fit all regular mouth glass preserving jars. Seal in the freshness and enjoy freshly made foods tonight or tomorrow. Bands can be reused multiple times although some preservers like to store their jars with the bands on. Single bands available for individual purchase if you do not wish to buy a box of 12 lids and bands. Gold colour. Ball Regular Mouth Lids with Bands for preserving fit all regular-mouth glass preserving jars.Se..
Lid (No Band) Regular Mouth Preserving Gold Suits All Ball Mason Regular Mouth Preserving Jars (1 o..
Lid (No Band) Wide Mouth Preserving Silver Suit All Ball Mason Wide Mouth Preserving Jars (1 Only) ..
Ball Wide Mouth Bands for preserving fit all wide mouth (86mm) glass preserving jars. Seal in the fr.. Create something all your own. With RealFruit Pectin it’s easy to make delicious jam that tastes mor.. Secure jar bands with confidence! 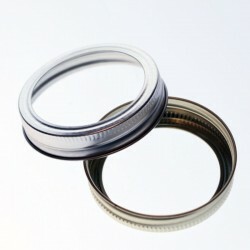 The Sure Tight Band Tool secures jar bands with just the right a..